Mike has a long history spanning almost 30 years in the resources, manufacturing and construction sectors. 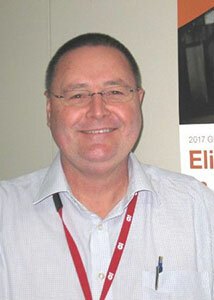 He’s worked in a variety of business units including operations, quality, environment, safety and risk management. For the last four years he has held senior corporate roles with responsibility for safety leadership and culture, safety systems, independent advisor and facilitator roles, risk assessments and independent audits. Mike has led corporate-wide initiatives to improve safety performance. Associated with these assignments has been the development and implementation of a number of culturally-aligned management systems. These programs have saved businesses significant costs by preventing fatalities, injuries and disease, and employing effective injury management practices. Mike has broad and deep experience in employee safety standards and practices and, as a result, is a recognised authority on workplace safety. He regularly leads workshops on topics such as Safety Leadership and Creating Injury Free Cultures.